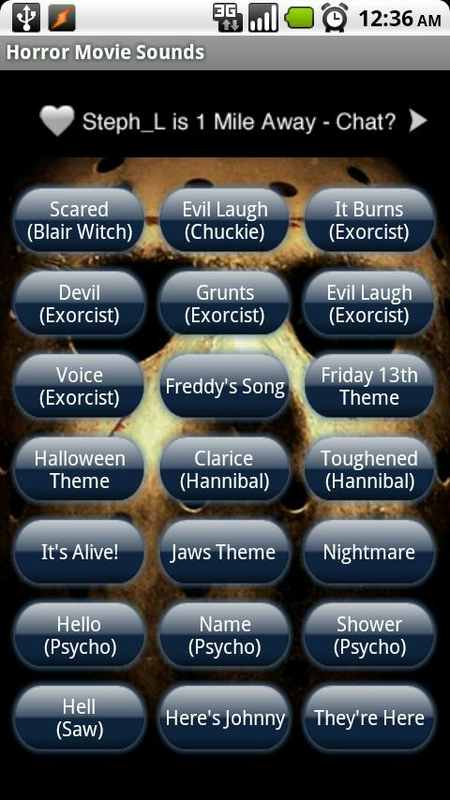 A sound board app with memorable scary music and phrases and other sounds. Play the sounds directly from the app or save as ringtones or notifications. Some of the movies include Halloween, Psycho, Friday 13th, Silence of the Lambs, Carrie, Saw, The Exorcist, and others.